Search among most popular topics directly on the website or visit more detailed knowledge base for all other searches and questions. 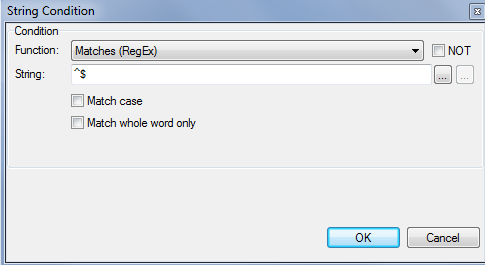 The trial version of IceWarp has no limitations in its features. After 30 days IceWarp will continue to work normally, WebClient will cease to function, and no further configuration changes can be made in the Administration. After another 30 days (60 days from installation) IceWarp services will be stopped. You can see license and pricing options here. You may get an error from Icewarp indicating that the number of users for your license has been exceeded. This can occur with add-ons you have purchased which have their own specific licenses for a restricted number of users. 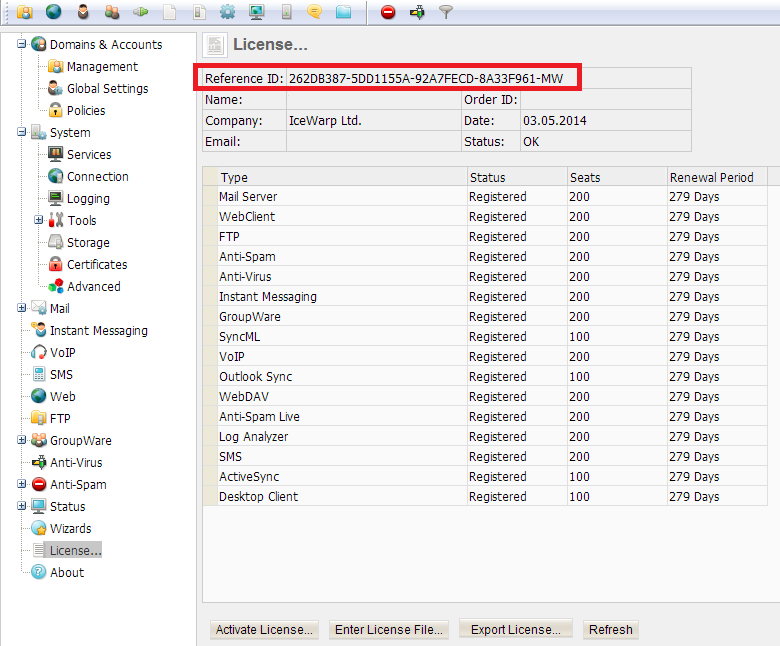 In the Licenses dialog, a special flag is shown by the add-on product for which you have set more users than the license allows. The number in the Accounts column will show how many users you have this engine licensed for. If you have more users set to use the engine than you are licensed for the number of extra users will be shown in the exceed column. 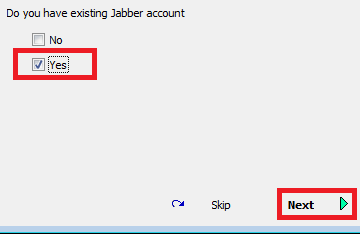 If your Access mode is not set to All Accounts then you can double-click a Product to see which accounts are set to use that Product. 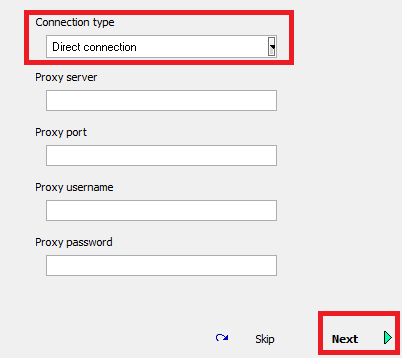 You can decrease the number of users using a service via the Options tab of a Domain or a User. 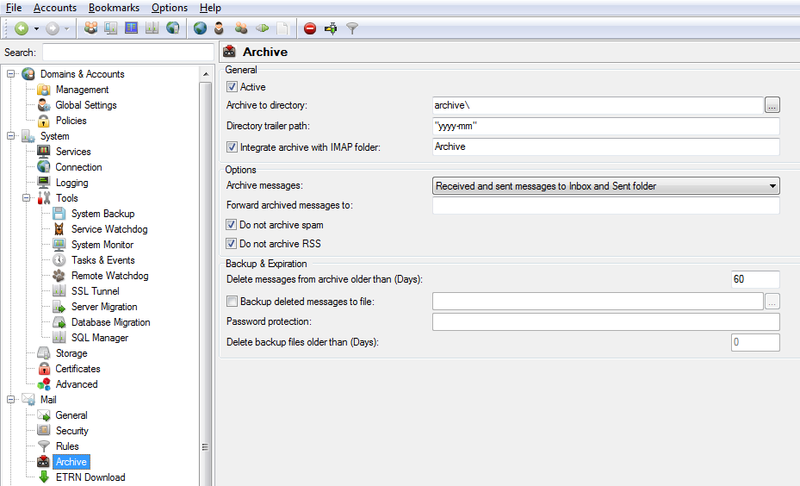 The following screenshot shows the Services Access box for a domain. 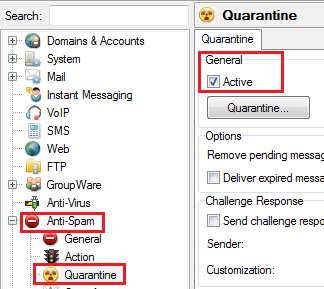 It shows that all users in this domain are using the Anti-spam, Anti-virus, Instant Messaging, and GroupWare Products. If the checkboxes are grayed out and you can't check/uncheck them, you need to change access on global level. Alternatively, you can upgrade your license to take your extra Users into account. 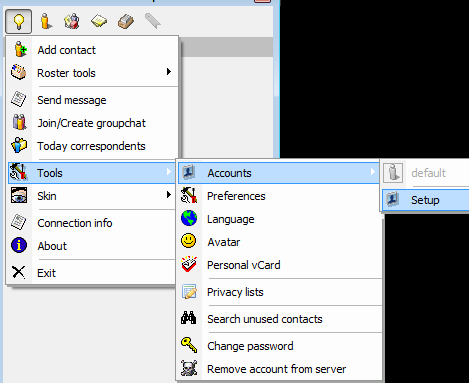 You can easily modify a range of Accounts by creating a Group Account containing the accounts you wish to modify and changing the setting for the Group. You can also use the TOOL command to make multiple changes. 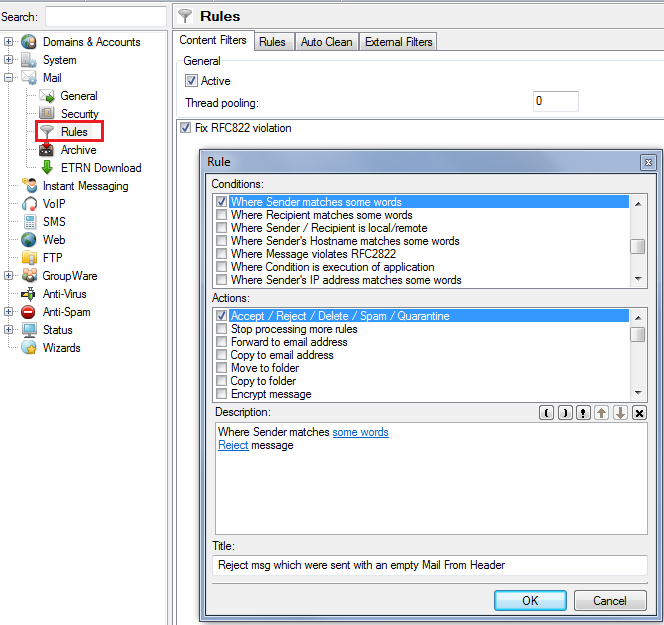 The Reference ID (or Key in older versions) is generated by IceWarp Server and is unique for the machine you install IceWarp on. You may need to find this key if you migrate IceWarp to a new server or if you need to retrieve your License. 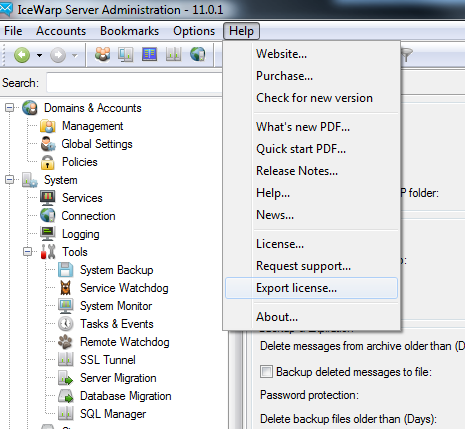 You can find your unique Reference ID in the IceWarp Configuration Console when you click Help > Licenses. The Reference ID is the number you are looking for. 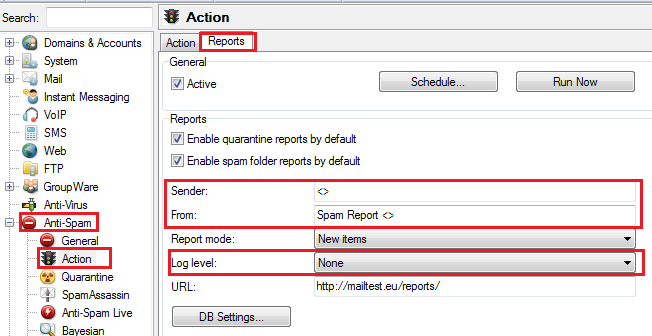 Another option is to check web administration console (webadmin). 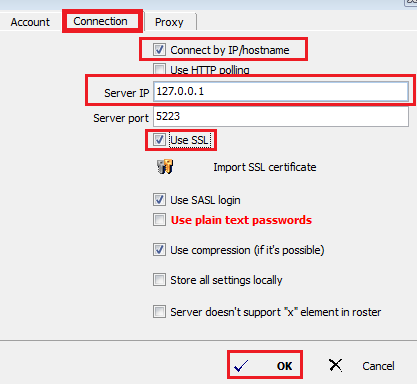 Enter your administration URL into browser http://<domain:port>/admin and log in with an account that has administrator rights. In the tree on left side, click License. The Reference ID is the number you are looking for. 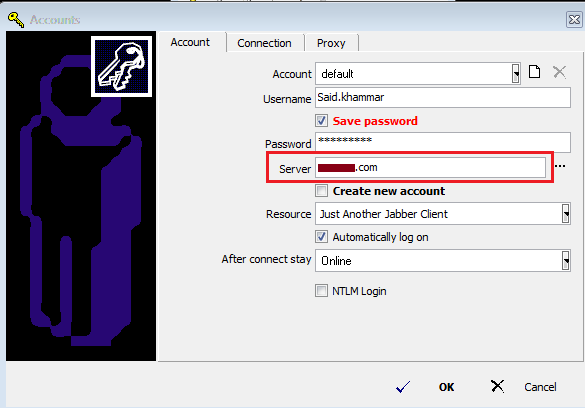 You essentially have the same options as an administrator on Windows, but you can also use the Wizard to get the Reference ID. 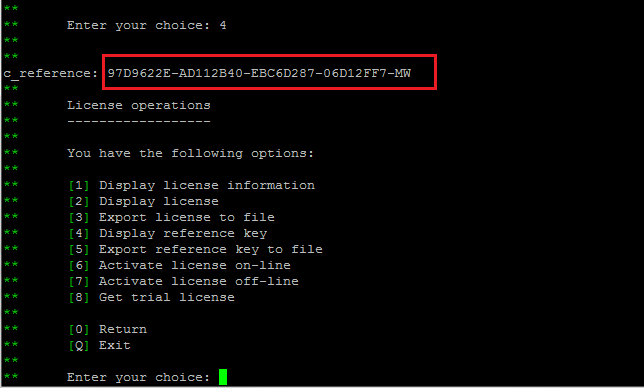 You can find your unique Reference ID in the IceWarp Remote config when you click Help > License (see screenshot from console above). 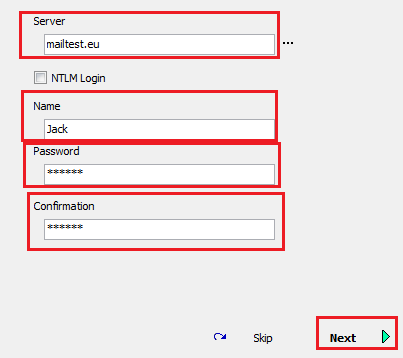 You can also use web administration. Enter your administration URL into browser http://<domain:port>/admin/ and log in with an account that has administrator rights. In the tree on left side click on license, the Reference ID is the number you are looking for. 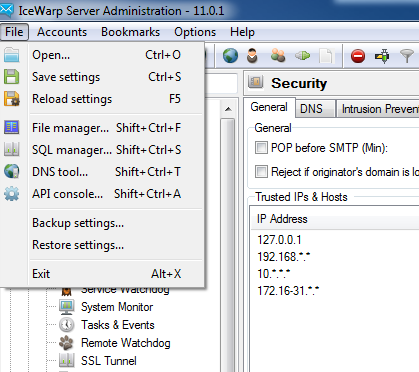 Navigate to IceWarp installation folder (by default /opt/icewarp/) and run ./wizard.sh, press Enter and select Licence operations by pressing the number next to it. 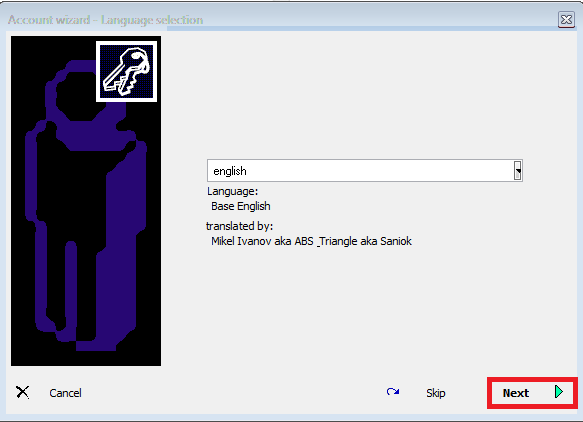 In License Operations select Display reference key. 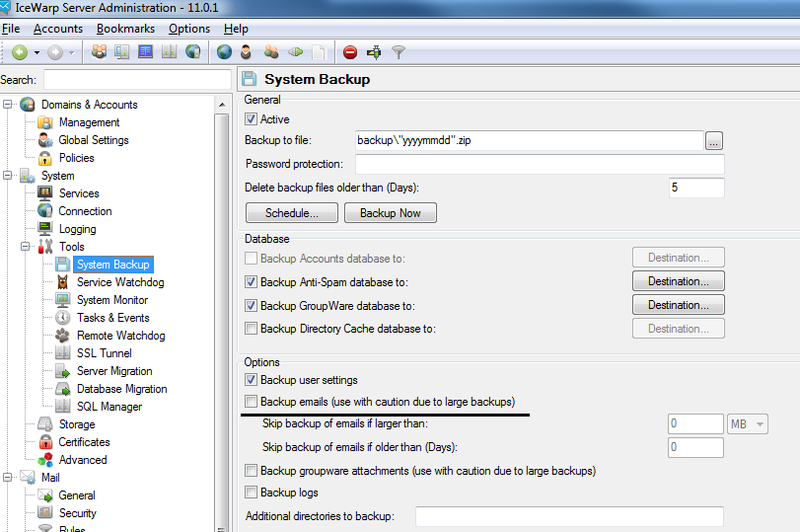 After you have purchased and entered the Live license Key to your Icewarp Mail Server and after you have configured your server in the way you want to use it, you should use our Backup Settings feature. You can find it in the File menu. For backing up your License information, we recommend using the Export License feature, from Help Menu . This will save your license information in a .XML file. You may, at this point, on your new machine, update the current license, by navigating to our website. 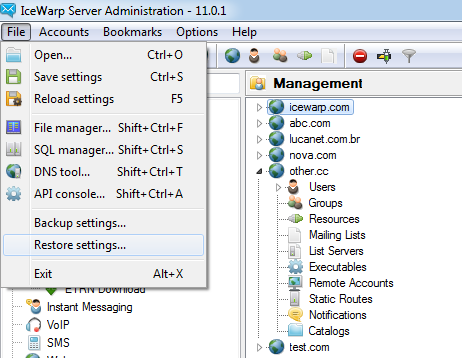 Install Icewarp on your new or fixed server and use the Restore Settings option in the File menu. Browse for the zip/rar file you have located on your filesystem (by default : C:\Program Files (x86)\IceWarp\backup), and all your settings will be restored.